Learn about different cars and their uses in this educational collection of car cartoons for kids about Wheelcity! 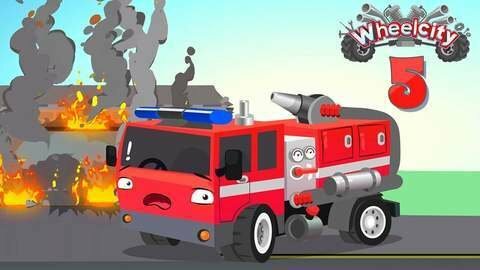 When Red The Firetruck fights a fire and rescues poor blue car he gets injured. Lila The Ambulance has to find a creative way to сure a patient. Hit play to find out the rest of the story and check out more fun car videos at SeeZisKids.